The Cheese is a LPFM (Low Power FM) radio station which broadcasts from Lower Hutt, a region close to Wellington in New Zealand. The station broadcasts 24 hours a day. The Cheese is licensed with APRA and PPNZ in New Zealand for music broadcasting rights and operates under the NZ laws governing LPFM transmission. Hits Of The 80s, 90s and Today! 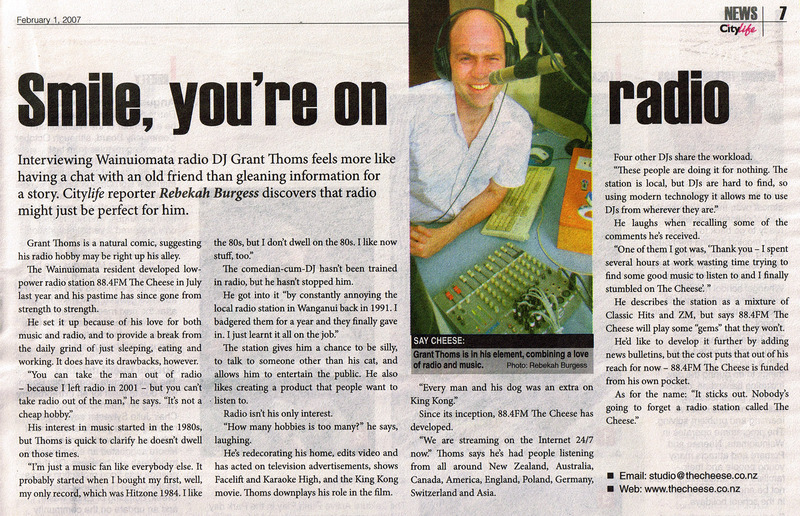 This article about a radio station in New Zealand is a stub. You can help Wikipedia by expanding it.